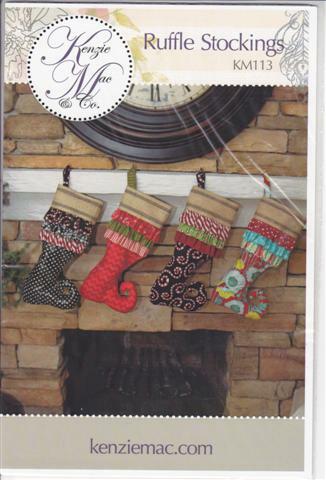 The Ruffle Stocking has a unique shape, whimsical curly toe and three ruffles. It is designed to look beautiful and a decoration is wide enough at the top to fill with goodies for Christmas morning. There are many choices of fabrics available to mix and match. Let your creativity run wild when choosing fabrics. The webbing adds a natural feel and makes for a fast easy project.